The Stillwater Central Railroad, an indirect subsidiary of Watco Companies, LLC, is seeking comprehensive proposals from passenger rail service providers to operate passenger rail service called the Eastern Flyer. The Stillwater Central Railroad’s anticipated passenger line would travel between Sapulpa, Okla., and Del City, Okla. Interested parties can get involved by sending an email message requesting a non-disclosure agreement (NDA). After an NDA is completely executed, a bid package will be emailed to the primary contact, the railroad said. 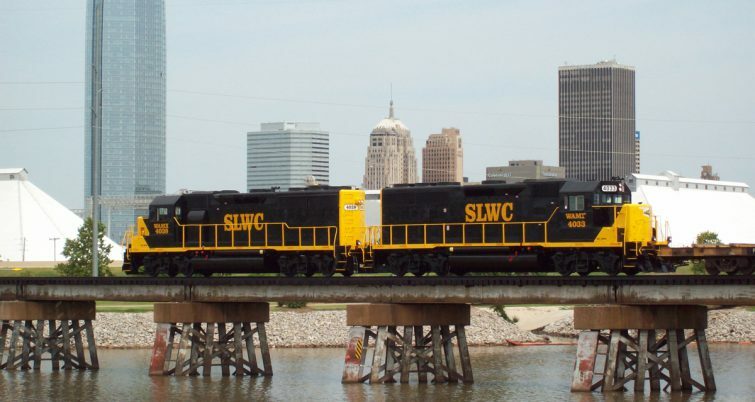 RT&S reported in May 2014 that the state of Oklahoma had awarded the Stillwater Central Railroad the opportunity to purchase the 97.5-mile Sooner Sub line. Stillwater Central Railroad had been operating over the Sooner Sub line at the time. The railroad was mandated to bring the Sooner Sub to meet Federal Railroad Administration Class 3 track conditions, which Stillwater Central Railroad expected would cost $2.35 million. The company had invested $16 million in the Sooner Sub from 1998 to 2014, and the railroad planned a capital and maintenance program that would invest between $2.4 and $2.6 million per year on the Sooner Sub throughout the next decade, anticipating a total cost of capital and maintenance expenditures during the next 10 years to reach about $25 million. The railroad had also partnered with Iowa Pacific Holdings (IPH) to explore passenger rail options in Oklahoma, according to previous reporting. Through its purchase of the Sooner Sub, the railroad would maintain its 275-mile network in the state. The Stillwater Central Railroad interchanges with Class 1 railroads BNSF, Union Pacific Railroad and Kansas City Southern, in addition to multiple shortlines.